To be sure, 2014 has been a year of tremendous collections: George Singleton’s Stray Decorum, Claudia Smith’s Quarry Light, Adam Wilson’s What’s Important Is Feeling, Lauren Becker’s If I Would Leave Myself Behind, to name a few. A quick look at some of the publishers of these titles, Dzanc, Magic Helicopter, and Curbside Splendor (a label I call home), might make evident that a reason for this surplus of good story collections is the rise of savvy small presses. Which makes sense: Who better to step into the breach than operations with two or ten people on the staff, all equally devoted to the book as art object and ice axe for the frozen soul. 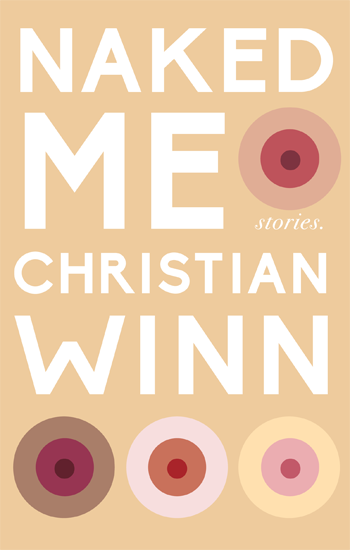 Every indie reader has her list, but whether your fave is Two Dollar Radio, Civil Coping Mechanisms or Publishing Genius, I suggest you add Dock Street Press out of Seattle, and what better way to get familiar with them than their second title, Naked Me, by Christian Winn. Most significant, though, to me, in Naked Me, is Winn’s formal exploration. One senses that Winn’s wanting to find forms for his fictions that avoid formula. Most of the time he does this exceptionally well, handling first and third person narrators ably, manipulating time through past tense’s retrospection and present tense’s shocks. Interspersed throughout the collection’s longer stories are a series of flash fictions or vignettes and none seemed alike; all possessed an integrity of form that warranted their length, prevented them from seeming like false starts or empty exercises in mood. And the longer stories demonstrate attempts to create tension and suspense apart from plot alone. The title story’s bravura ending hinges on a smart shift in tense and narrative angle—the narrator telling us mostly what he did not say—and in “Rough Cut,” a similar move to future tense makes even more aching the present action. An occasional misfire occurs from time to time—I wanted the wonderful cataloguing of dead celebrities in “All Her Famous Dead” to mean more about whom the central character is—but in the main, Winn seems sure with his devices, adept with artifice. Never does the technique overshadow the very real men and women with which he populates these stories.